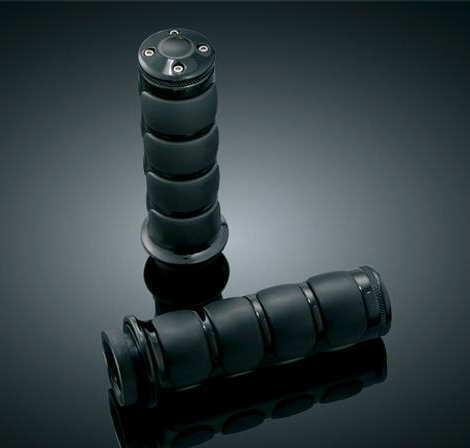 If you like the Kuryakyn Chrome ISO-Grips then you’ll love these Black ISO-Grips. These powder-coated black grips dampen handlebar vibration while providing a sure, cushioned feel for long haul comfort. Get total comfort with the matching Black Throttle Bosses. 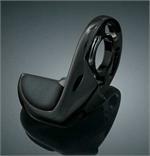 Provides great style and comfort, these black grips provide a soft, non-slip surface that dampens operating vibration. Sold in pairs. 5 3/4" Long, Select your bike above.